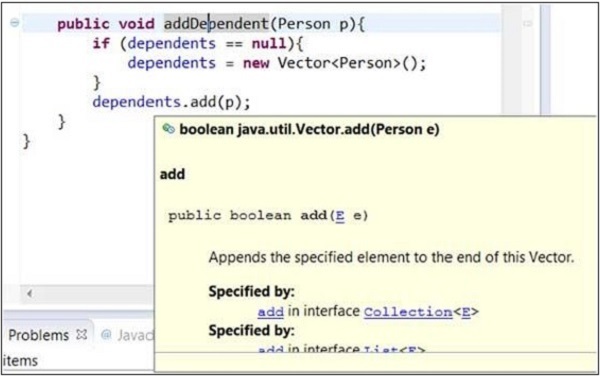 The java editor is associated with different type of hovers. A hover provides additional information about the element under the mouse pointer. 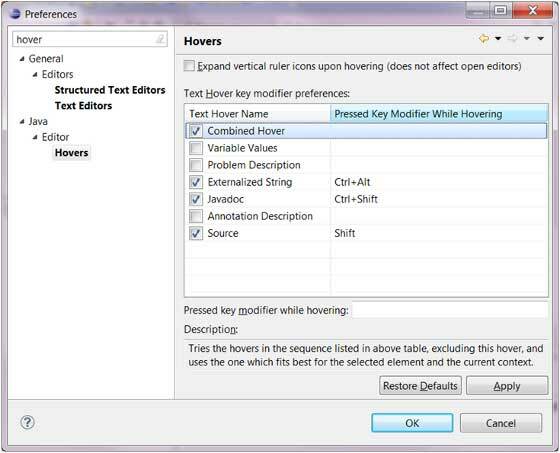 All the hovers associated with a java editor can be seen in the Java editor Hovers preference page. In the java editor, placing the mouse pointer over the class being imported displays the java doc associated with that class. Placing a mouse pointer on a method shows the java documentation for that method.